And not surprisingly, neither is the appropriately titled Christmas Everywhere. The 12 original songs give new meaning to the word “bittersweet.” There are feelings of sadness, disappointment, frustration, loss and even anger here, along with moments that reflect more traditional holiday cheer. The title track starts off jaunty, humorous and rooty-toot-tootin’ with “Mama wants a kitchen sink, Daddy wants a stiffer drink,” before moving into a dark, slow, dreamy few minutes where guest singer Lera Lynn asks for a time machine to take her back in order to prevent John Lennon’s murder. The combination is odd and unsettling. That theme moves through the album. An upbeat melody on the pure country “Christmas Makes Me Sad” complete with zippy pedal steel turns gloomy with lyrics like “I’ll spend my silent night alone.” The sorrowful ballad “Merry Christmas From An Empty Bed” crawls along like an old Tom Waits narrative as the verses shift between Crowell and Brennen Leigh playing separated lovers, both miserable and dejected that their relationship disintegrated around Christmas. Absolutely heartbreaking. Then the sentiments change to the rollicking, happy-go-lucky “Very Merry Christmas” which follows, complete with honking 50’s-styled tenor sax and Jerry Lee Lewis-inspired piano is striking and not a little disconcerting. Emotions get raw on “Christmas in Vidor,” a duet with Mary Karr as both narrate this deeply disturbing tale of a mismatched couple, each angry and depressed about having to spend the holiday with someone they despise. Lyrics like “Can’t pay the bills/ Just pop a few pills/ Our baby girl’s due/ Hope it don’t look like you” only scratch the surface on this impossibly bleak, often bone-chilling scenario. Crowell has more problems with his family on “Let’s Skip Christmas This Year” as he sings, “Dinner plates will be thrown and your drunk uncle will leer/ We don’t belong in that sphere, let’s skip Christmas this year,” over a jumpy bluesy shuffle. The closing sing-songy “All for Little Girls & Boys,” sung with Crowell’s daughters when they were young, leaves us in a slightly improved frame of mind. But the heavy sentiments generally outweigh the joyous ones in Crowell’s Christmas state of being. That makes this such an intriguing, unlikely and somewhat unnerving holiday release. It’s distinct from anything else you’ve probably heard. 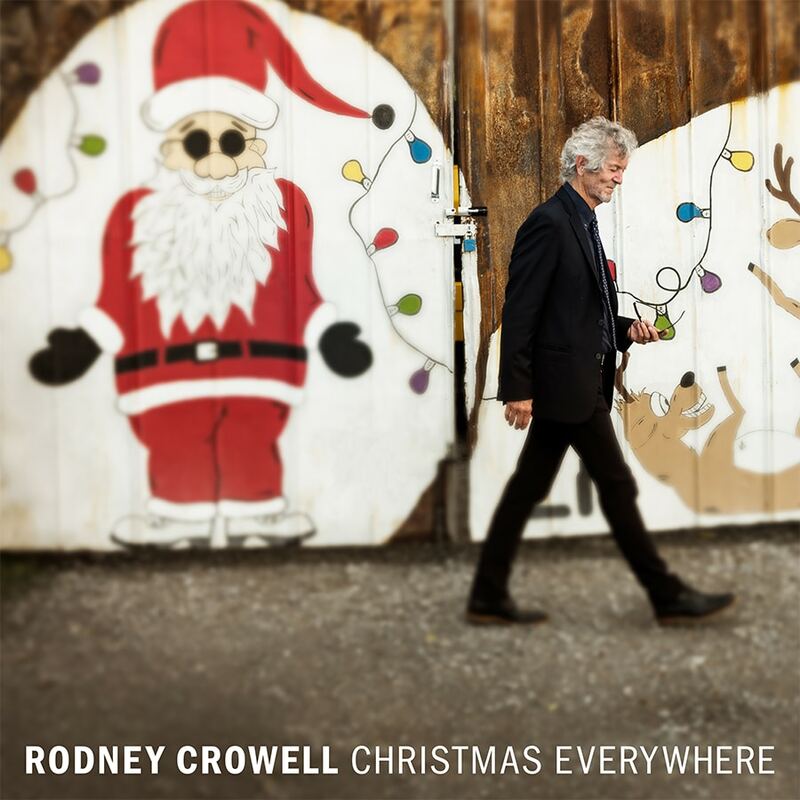 Kudos to Crowell, one of Americana’s most daring and veteran songwriters, for having the artistic guts to work in such melancholy territory, especially under the auspices of the Christmas spirit. This is not the album to play when trimming your tree, unless your family is as dysfunctional as the characters that populate most of these songs. But it’s one that will resonate for months after the last present is unwrapped.